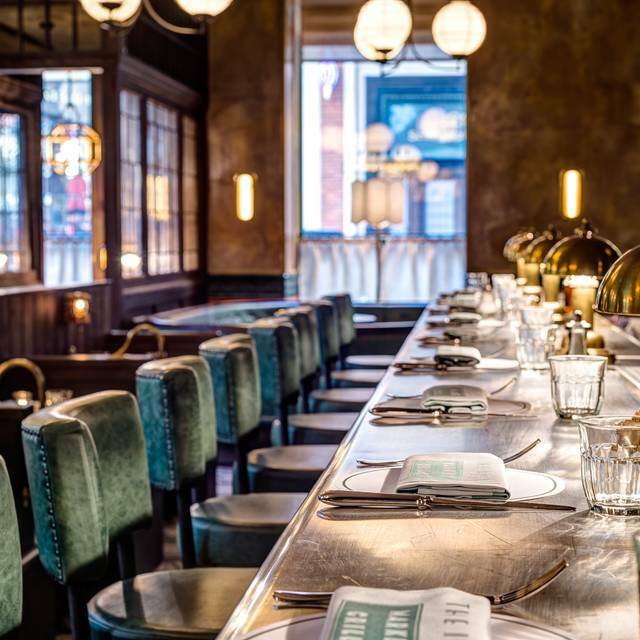 We are located 5 minutes walk away from Covent Garden Station (Piccadilly line) and 10 minutes away from Leicester Square Station (Piccadilly line, Northern line). 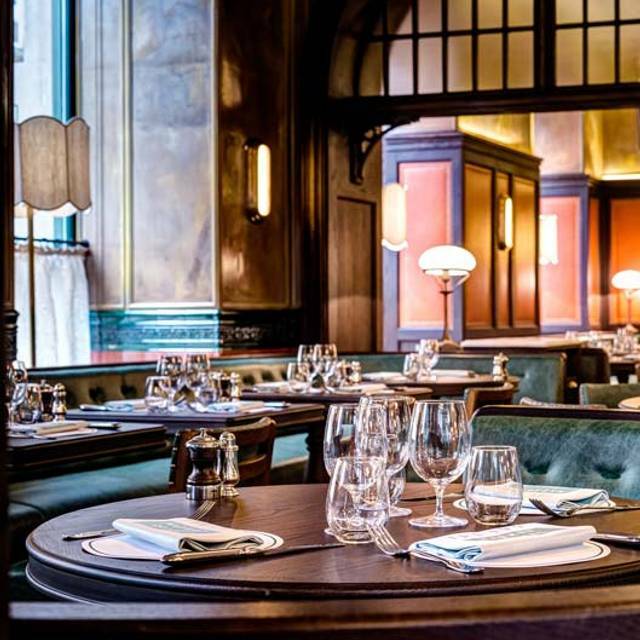 The Ivy Market Grill brings the familiar luxury of The Ivy on West Street to a relaxed yet sophisticated all-day dining restaurant in the heart of Covent Garden. 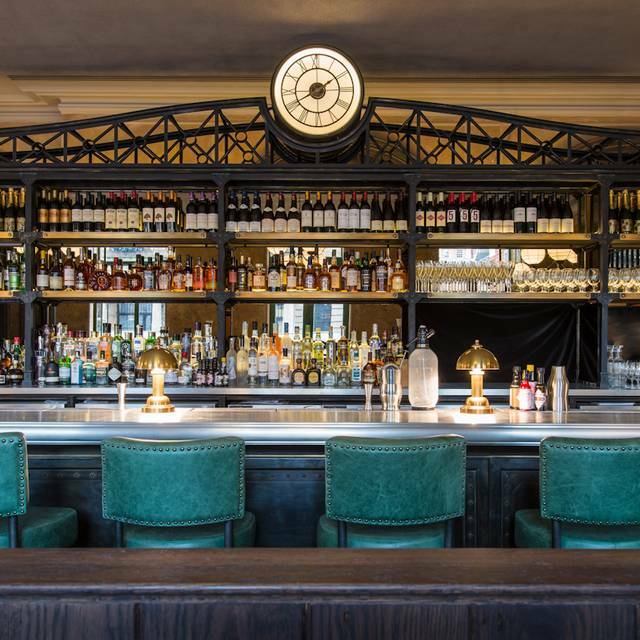 Open seven days a week and comprised of a main restaurant, terrace overlooking the bustling piazza and two private dining rooms, The Ivy Market Grill provides the perfect setting for any occasion. 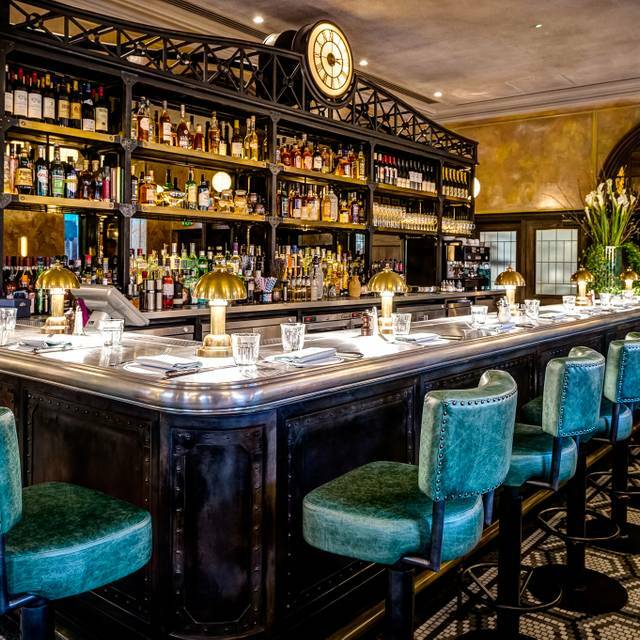 A number of tables remain unreserved throughout the day allowing more people to experience a taste of Ivy magic in both our dining and service. 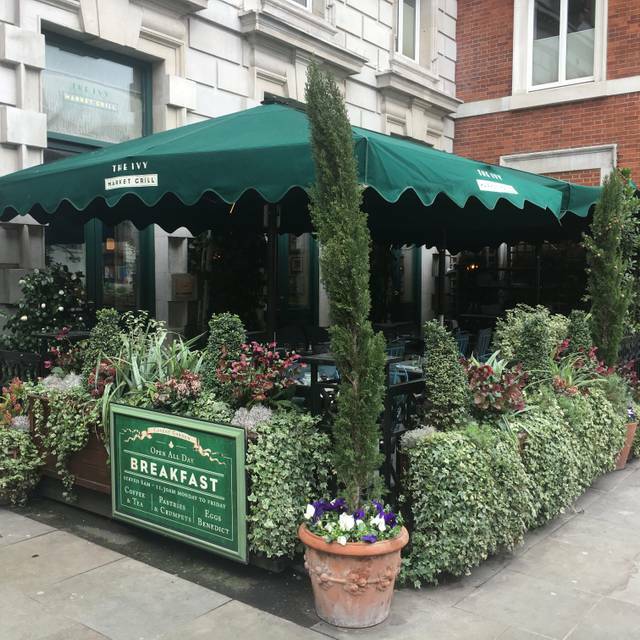 Sample our extensive range of quality food and delicious cocktails at your leisure from breakfast until late, whether you are a local resident, work close by or are simply visiting one of London’s best-loved areas. Cant wait togo again. Food and service was outstanding. The atmosphere was chilled and perfect. Two of us visited on good Friday late afternoon, so it was quite busy as expected. However, service was still very attentive and friendly. The food was delicious and very good value for money I felt. Would highly recommend the 'Easter Egger' dessert if visiting over the Easter period - the menu description doesn't really give away any hints to presentation of the dessert, but it had the wow-factor when it arrived!! Lovely place where to have a good brunch, nice service, budget Ok! Service shocking, took forever. Food is always good but chicken was pink this time. Drinks were lovely and enjoy the atmosphere. Warm and helpful welcome. 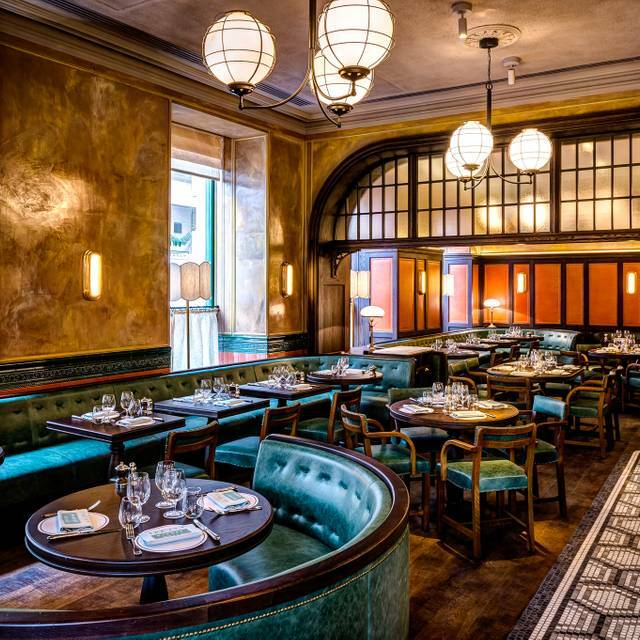 Lovely food as usual, tables tightly packed inside and aisles very narrow but a treat as always with really good pretheatre offerings, so pays to book ahead, aas hugely popular - noting not a huge offering of this quality (and price) in south Covent Garden. Went for the pre-theatre menu, three courses all very tasty and service was very efficient. Restaurant was very busy and by the time I left (18:30) they were turning away people who hadn't booked, or asking them to come back later. Everything was good, very good but not exceptional. My husband and I had a delicious meal, food was outstanding , staff very pleasant. However, our table was about 2 feet from the door which was being opened constantly with people coming in and leaning on the open door while talking to reception staff. It was very cold and I noticed diners on the two tables next to ours had to put their coats on, we already had our coats on. I mentioned this to the waitress who said we should have asked to be moved to another table, this would have been impossible as the restaurant was packed with lots of people being turned away as it was so full. Perhaps in future diners should be informed that these four tables near to the door can feel very cold. We had the pasta from the pre-theatre menu, a panacotta & cheese & biscuits & 2 glasses each of wine. All was well presented & very tasty. The service was friendly, prompt & attentive, without being intrusive & we never felt rushed. There was ample space around the table so we didn't feel on top of other diners. Had the pre-theatre set meal - good value and excellent food - well presented. Restaurant had lovely atmosphere. Waitress was competent and courteous - she did the job she had to do! There was no ‘customer service’ or personality. She needed to interact more with the customer. If the tip wasn’t already included maybe she would have to do this! Ivy Grill is just up the road from my work and a great place to take business colleagues. The service is always great and the food always well presented and cooked. I LOVE the fish cake so always tend to have that, but they do a mean breakfast and colleagues have commented on how good their plates of food have been. You really can't go wrong here but it is a little bit on the pricey side. Came to the Ivy Market Grill before heading to the theatre. We ate from the a la carte menu and the food was delicious. My only downside would be the number of tables the have squeezed in. We were in a small booth for 2 next to the bar and it felt very tight. Other than that we had a great time, and I would definitely return. Although I would request a different table. I have been for evening meal before which was lovely, very disappointed with breakfast. The toast came before coffee and ages before our breakfast dish so therefore cold. The bacon was cooked so much it was dried up. 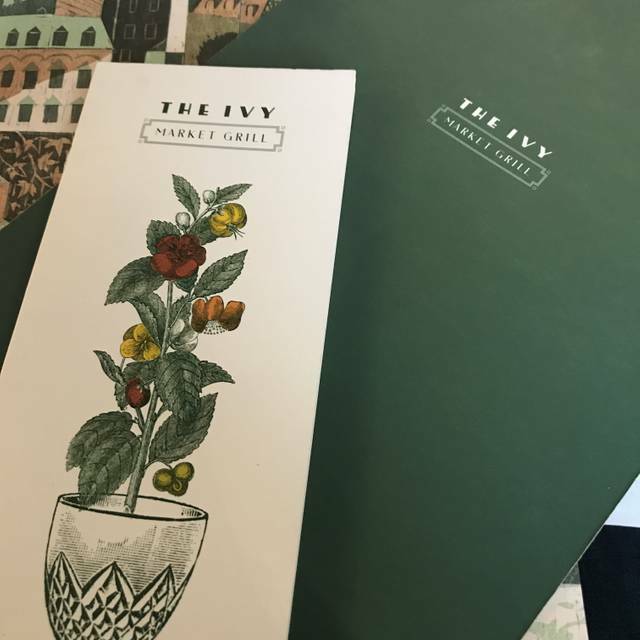 Took some friends to the Ivy for brunch on Sunday who had never been to an Ivy Cafe before and, on the experience yesterday, will probably not try any others. On arrival waited 10 minutes before anyone offered any hot or cold drinks and even then had to be flagged down. The coffee took 15 minutes to arrive and was cold. Had to flag someone down again to order and at the same time ordered more coffee and juice. Juice arrived but no coffee. After another 15 minutes asked for the order … it arrived a further 10 minutes later. No exaggeration on the times! Toast then appeared, first for one order and 5 minutes later for another order. No sign of the actual breakfast. Said to the server that the toast should really come with the meal and he said it would be right there. Another 10 minutes passed; we didn't touch the toast which was by then cold. Asked the waiter to take it away and give us hot toast when our meal arrived. Eventually our breakfasts arrived - 30 minutes after they were ordered!). Baked beans were cold. Didn't bother to mention that at the time because by now the waiter was deliberately avoiding us even though we had been polite and not remotely cross as each problem occurred. The fresh toast arrived 10 minutes after our meals arrived. The whole experience was unsatisfactory - slow, sloppy and unfriendly service from our waiter though one of the suited women came to apologise for the delays. Service is ALWAYS an issue at Ivy Cafes and coffees always take an age to come but even by usual standards yesterday was appalling. You need to sort this out as I note that a number of others are complaining too. I like coming to the Ivy as the menu is delicious. When I came through the door to ask for my table I was kept waiting quite a while by two members of staff who were telling some people there were no tables available. I feel they need to organise this better. It doesn’t take two people to deal with this. My problem was where I was sat. People who were waiting to be seated hovered over our table which made it very uncomfortable. The staff were aware of this but it caused a problem. We were eating early before we went to the theatre. What a amazing place. So full of character and food was excellent. Would him recommend. It is a lovely place to meet and have a good chat with friends. A beautiful spot for breakfast. It was a lovely treat for my 20th birthday and we shall definitely be returning. Nice food. Awful service, which was slow and muddled with the result that we were given things 'on the house' ... which then appeared 'on the bill'. Not a place to which I need to return. Had an amazing evening celebrating my husbands 40th. Would highly recommend so please book in advance. Chocolate bomb was amazing. Had a great experience . 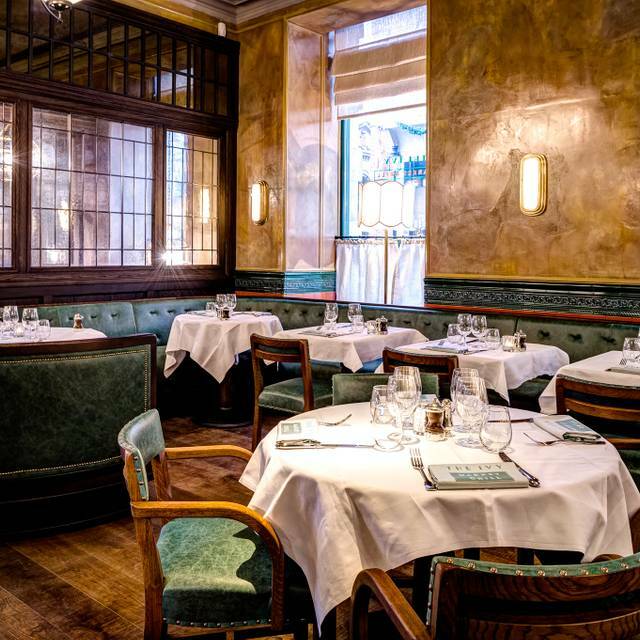 Our favorite restaurant in London.. and so glad we were able to host our friends wedding lunch there on Friday. Mad love to the staff for great food and service as always. As always excellent service and food. Have been here several times for different occasions and have never been disappointed. Staff friendly and efficient. The service is very slow. Took 30 mins to order a drink and over an hour from sitting till the first course arrived. Lovely buzzy place but don’t go if you are on a time limit. Very pleasant . Nice food ,good value and pleasant service. Great for a snack before or after but not a main event eating experience . Would heartily recommend it. I took my wife for lunch on our day out in London. Everything was excellent, we had a fabulous meal, excellent service with a lovely ambiance. Top notch. Thank you Ivy. Everyone really good except the reception staff who were very inefficient and sent my lunch guest to wait at the bar when I was already at our table. Otherwise I would have rated things as 5 star. Excellent service throughout our meal. One of our party didn’t enjoy the steak tartar (the mustard was too powerful for their liking) - the waitress kindly took it off the bill without even being asked. The monkfish curry was a favourite on our table and all the potions were more than generous. We finished with the chocolate truffles which were a fab and indulgent little treat too. 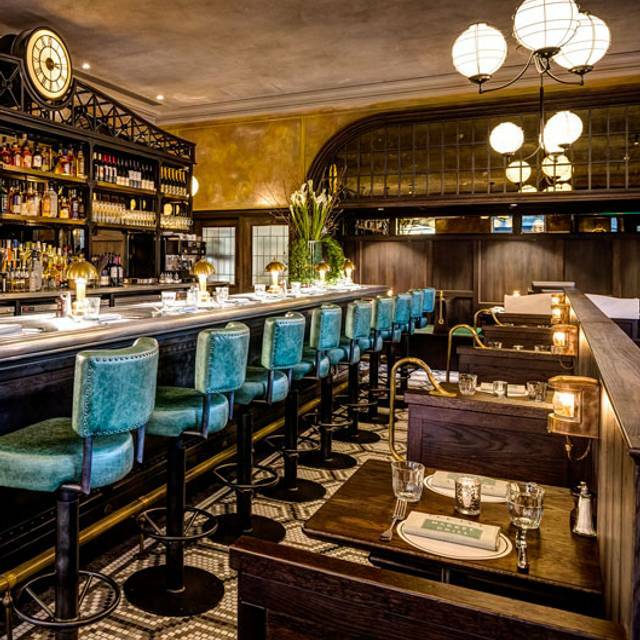 We went for my partners birthday, the whole experience was amazing , great food, service was impeccable , we felt very welcomed from when we first stepped inside . I will definitely eat and drink at the Ivy Market grill again. I have already recommended it to my friends too. Great place for a before meal London play. Very enjoyable and not rushed!